Welcome to the team, Pablo! I’m always amazed to find the incredible talent we have at Spain. But a year ago I got to know a very special case of a really young developer who moved to live on his own at the extremely early age of 18, which is probably the less common thing, because in Spain people usually move out of home after they’re 25-30. He did so because he found a job, that is also pretty unusual in Spain where unemployment is at crazy rates, specially youth unemployment. He didn’t attend university at all, he has a 100% hands-on approach. And I absolutely love that, because that’s the way we work at Stampery. We are builders. We like to create. We are product-focused. His background relates to backend technologies such as Go, Ruby and NodeJS, but he is also extremely passionate about iOS development, and he has already released a Bitcoin app for the iPhone. So, to welcome him, there’s nothing better than an interview! Luis: Pablo, we’re so happy to work with you. How did you got involved with Bitcoin and why did you create both BitcoinEx and Bitcointy? Luis: Interesting. As a freedom lover, what do you think about the blockchain technology and the possibilities it opens? could be implemented in the blockchain. Luis: You’re the one in charge of the Stampery iOS app. iOS development is having an awesome momentum with lots of new tools and possibilities. How do you see the future of iOS development? You heard it. Stampery is gonna be on iOS extremely soon thanks to Pablo, and get ready cause it’s gonna be awesome. 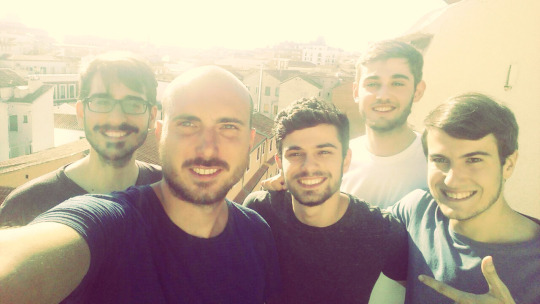 And, as you saw on this post’s photo, after Pablo’s incorporation to the team, we are five blockchain lovers working on the product. So expect more great stuff coming. We are totally thrilled to have Pablo working with us in order to take Stampery to the next level. Welcome to the team, Pablo!